Great Googly Moogly! 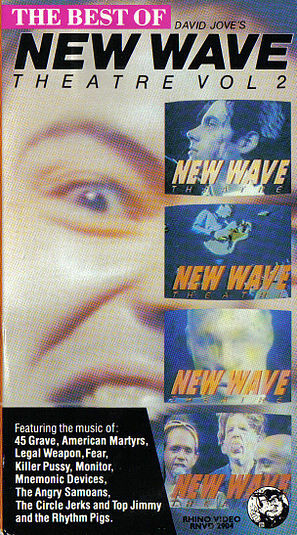 It’s hard to believe but I’ve been blogging for over five years and a thousand posts, and I’ve yet to discuss the TV show New Wave Theatre, which had a vise-like grip on my peer group’s minds for a solid year back in 1981. We could not wait for the latest episode to air and given that only one of my friends [Dave] had both cable and a VCR, we would end up at his place to see any new episodes. The program had the look of being a public access cable program from the late 70s; shot on equipment not much more sophisticated than what Dave’s family used to tape their children’s puppet theatre shows [don’t ask] with. 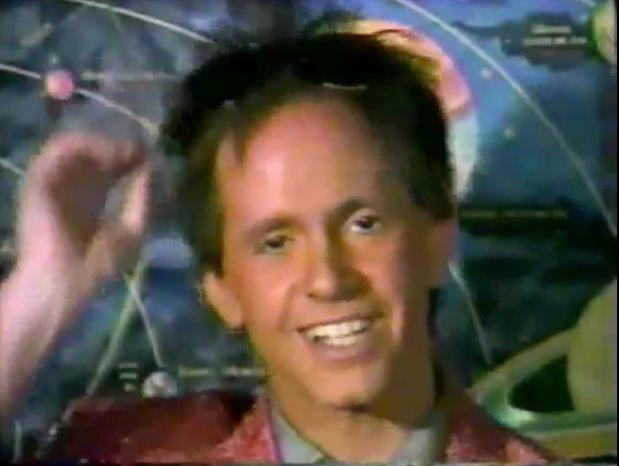 The program was hosted by a man none of us had ever heard of; Peter Ivers. He was an eclectic and storied guy who had done everything from play blues harmonica, write musicals, to creating a trio of solo albums in the mid-70s that resist classification to this day. For some reason, he had been selected to be the mouthpiece for series creator D. Jove. The seat-of-its-pants series would last for a half an hour and showcase bands whom none of us had ever heard of in 1981. Local L.A. New Wave bands that somehow never managed to leave the city’s gravitational pull. In between the live performances and stock footage used between acts in a completely free associative way, came the two parts of the show that we all lived for. Firstly, the band interviews where Ivers would ask these bands deep questions [“what is the meaning of life?” was always the closer] to which they would sputter and try their best to ad-lib a semi-coherent response. Secondly, at the end of each episode, Ivers would read a prepared statement [undoubtedly penned by Jove on cue cards] of incredible pretense, attempting to somehow ennoble the previous 28 minutes we had just seen of local bands geeking out on coast-to-coast television. To mask the obvious reading of cue cards, Ivers would always wear shades during this closing segment, which was our favorite part of the show. Then, he’d whip them off at the conclusion and leave us with that week’s pseudo-profound bon mot of choice; grinning like a smug cheshire cat. It was exquisite, but you probably had to have been there. I did not yet have a VCR, so when at Dave’s watching the shows, I’d get Dave to audio dub the soundtrack to a C-60 K-Mart® brand tape so I could re-live the magic at home later. What I would not give for that set of tapes [looooong since gone] now! The bands were pretty awful across the board. No-namers but one sticks in my mind decades later. The Creed, with their tune “Hostile Gospel.” When I heard Wall Of Voodoo in late 1981, I wondered why New Wave Theatre couldn’t get an artistic band like them, with actual talent in addition to their pretense. Most bands on NWT only had the latter. For the most part. I wanna see New Wavers suffer and cry! These guys came on like smack-talking wrestlers; mercilessly baiting Ivers and lording their obnoxious sexism and deliberate repugnance over him like so many badges of honor. The song was painful to listen to, with barely coherent attempts at solos intermittently occurring throughout the “song.” The interview with Ivers after the performance was not to be missed. Naturally, we were hooked! As far as I can tell, The Mentors were the flashpoint of the “rock and wrestling connection” right then and there. The series seemed to go away at the end of 1981, but at some point in 1982, after my neighborhood had been graced with cable and a ßetamax was sitting in my home, there appeared what seemed to be a second season with dramatic differences. New titles and an ill-considered uptick in tech gear gave us a New Wave Theatre that we could barely recognize. The schlock comedy bits were cut to almost nothing. There were bands that I now had heard of playing on the show [The Plugz, Fear, etc.]. Worst of all, Ivers was barely in evidence on the show. “Interviews” were cut down to what seemed like a single question. All of the pretension had been stripped from the show. Even the legendary pseudo-intellectual closing was gone. In short, a huge deflation of the NWT balloon. I didn’t even bother to videotape these episodes, even though I could. Sadly, it was from these “more professional” episodes, that Rhino drew from for their two volume “Best Of New Wave Theatre” series on VHS back in the mid-80s. Then, in 1983, tragedy struck. I remember reading that Peter Ivers had been beaten to death in his apartment in L.A. and the murder was never solved. That Ivers was a black belt in karate suggested he knew the murderer. It was a sad end to a TV show that had previously burned so brightly. The mixture of pretension with amateurishness was never done so well anywhere else. 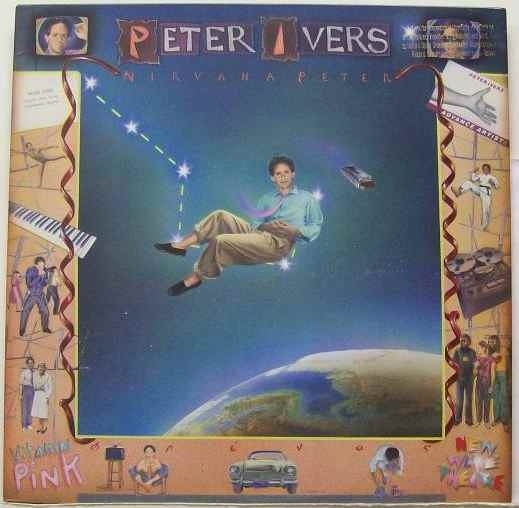 I did eventually buy on principle, the “Nirvana Peter” posthumous compilation album drawn from Ivers’ solo albums, though I’ve never listened to it for almost 30 years. It’s currently in my discard pile, but I don’t know sitting here whether the record stores I’ve been selling to lately have taken the bait. As the eighties ground forward, most of us moved on from New Wave Theatre… with the exception of my friend Tom. 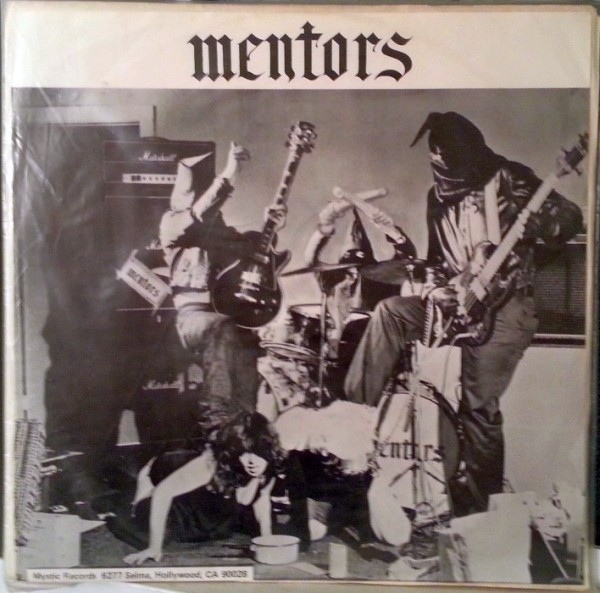 Still reveling over the amazing Mentors appearance a few years earlier, he was out and about in record stores and actually came across a Mentors album, and could hardly be blamed for buying it. He later summed up the experience of listening to it thusly; “if you could catch a disease from playing a record, this is the one that could do it!” Apparently, The Mentors had moved considerably on from the relatively genteel sentiments held in “Get Up And Die” on to much more foul and scabrous sentiments which we will refrain from invoking. Suffice to say that the Parent’s Music Resource Center got a lot of attention by parading around Mentors lyrics as rock status quo, and thus fodder for censorship. Thirty three years later, Ivers’ death is still an unsolved murder, but in 2009, there was a book published on the mystery surrounding it to act as a last word on the subject. This entry was posted in Core Collection and tagged 1981, Peter Ivers, TV show. Bookmark the permalink. For the love of all that’s holy, David Lynch needs to tackle Ivers, his associates, and the murder once and for all. Lynch couldn’t even write a story like the Peter Ivers story. chasinvictoria – I waiting for you to chime in on this post! Good point on the Lynch. But who would Lynch cast for El Duce of The Mentors?